There are a lot of marketing tools out there to play with. Most of them you don’t really need – or if you are using one, you probably don’t have a clear idea about how to utilize all its functionalities. 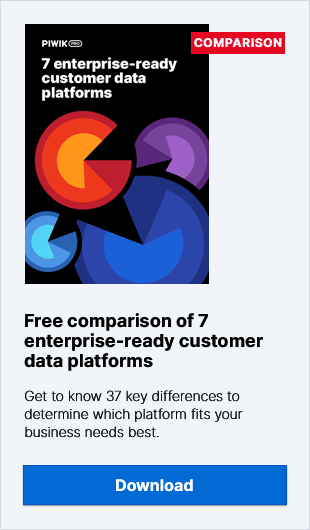 But what about the Data Management Platform (often referred to by the mysterious acronym DMP)? Should you use one – or not…that is the question! And how should you go about choosing the right one? Before you go out and get a DMP, you should first of all ask yourself the following questions. Is now the right time for a DMP? you are running multiple, cross-channel campaigns and need to gather audience data all together on one place. If your answer to any of these statements was “yes”, then you should really start looking for a DMP. A platform of this kind has the potential to really improve your marketing efforts and make them much more effective. But – before you dive in head-first looking for a DMP, you should really know exactly what a DMP can do for you. Now, if you want to put it in a nutshell, a DMP improves the efficiency of your marketing campaigns and as well as your ROI. For example, let’s say you are communicating a special offer or promoting some particular resources on your website and you are doing it for every visitor. In other words, all your visitors see the same thing. But people are individuals – even when they are grouped into audiences with similar characteristics. So with the DMP you can personalize your website’s communication to be more precise and give visitors what they are really searching for. Here’s a different example – improving your marketing campaigns. With a DMP you can export your previously configured audiences containing people with similar interests, similar demographics and connected by localization. This kind of audience imported to the DSP can be used to configure efficient remarketing campaigns and interest visitors in a new product or even a new brand itself. How can I choose the most suitable DMP for me? There are a couple of things you should check out when trying to choose the best DMP for you. Mostly, it depends on the industry your company is in. Second, it is related to the campaigns you are running and your entire marketing strategy. And finally, you should take your company preferences into consideration. Different industries are looking for different things. In finance and health-care, for example, people are more interested in privacy and security. In other industries, executives are looking more at functionalities themselves, or at custom development possibilities. Others still are concerned about support, pricing or scalability. Data-sensitive industries are worried about their data and would prefer an on-premises solution with full data ownership and complete platform control. Media-buying and selling agencies are looking for scalability and the possibility to add, expand or remove accounts for their clients. Enterprises gathering unique, 1st-party data about their visitors or customers would be satisfied if there had the possibility to implement specific features with custom development. If you have a big website with a lot of traffic, you’d probably just need to collect data about the visitors to customize the communication across the site. So you will need proper 1st-party data integration with the possibility of adding custom functionalities. If you are an agency with a lot of media-buying clients you will most likely want 3rd-party data integration with a wide range of vendors to broaden the scope of your campaigns.. And of course get better scalability. If your are active in both the desktop and mobile world, it is important for you to have cross-device tracking and cookie syncing or fingerprinting solutions. You might be tempted to think that – in most cases – out-of-the-box solutions are good enough for you. Unless it turns out that you can’t gather or import your custom data from an external database, for instance. But you don’t have to just throw up your hands. If you are investing in an expensive platform, you have to be able to extend it and customize it for your needs. This can work in two ways – getting custom solutions from the DMP vendor or extending its capabilities by your in-house team. Either way, you should consider having the possibility for custom implementations, even if you don’t need it now. As the product of a custom development company, Piwik PRO Analytics Suite can be fully customized based on your needs. Having technical support for your DMP is obvious you say. Easily accessible support (online or by phone) is one thing , but the competence of the support team members is another. It is always good to check out the level of communication during your first call with your DMP vendor support team. Another quite important point is to have access to a dedicated Account Manager in case of some difficult problems or if you want to make direct inquiries – about new functionalities, for instance. Having the chance to get only the functionalities that you need, without paying for unneeded ones. After all it is quite common to have some tool and be utilizing only a few specific functionalities which are very important to you. Piwik PRO Analytics Suite provides this possibility. So, you will find it very useful to have a DMP tailored for your needs. In Piwik PRO Analytics Suite you can specify the functionalities which you really need and keep it at that. There are many different pricing models. And choosing the right one depends on the preferences of your company and your way of using a DMP. Some companies prefer fixed fees because they have a pre-planned budget, othersr want to pay for what they use (impressions, functionalities etc). In Piwik PRO Analytics Suite there are a couple of payment models which can be fitted to a client’s preferences. One more proof of Piwik PRO Analytics Suite’s ultimate flexibility.